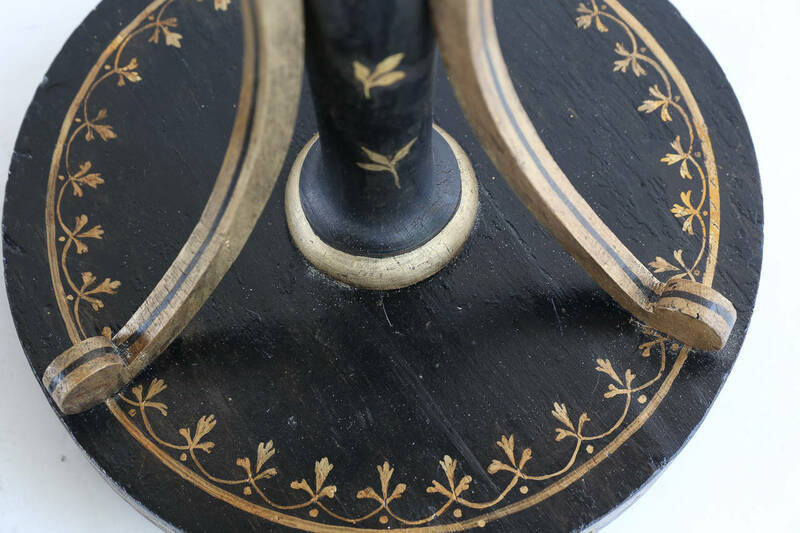 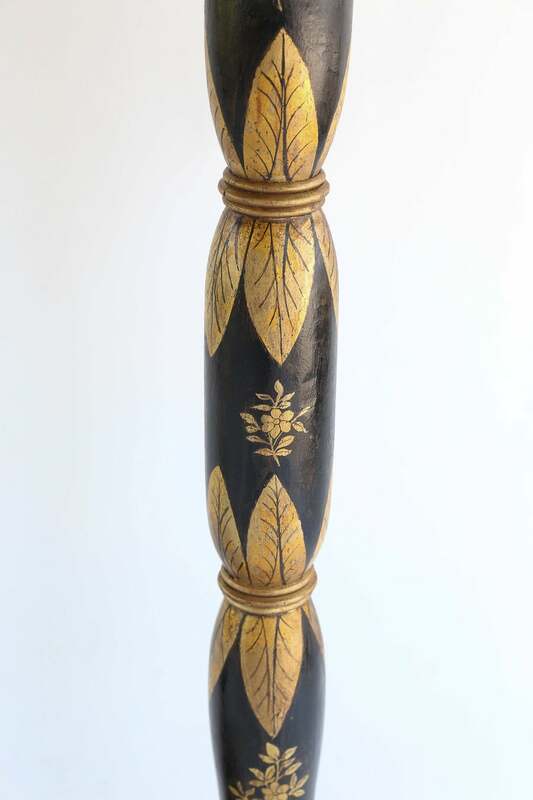 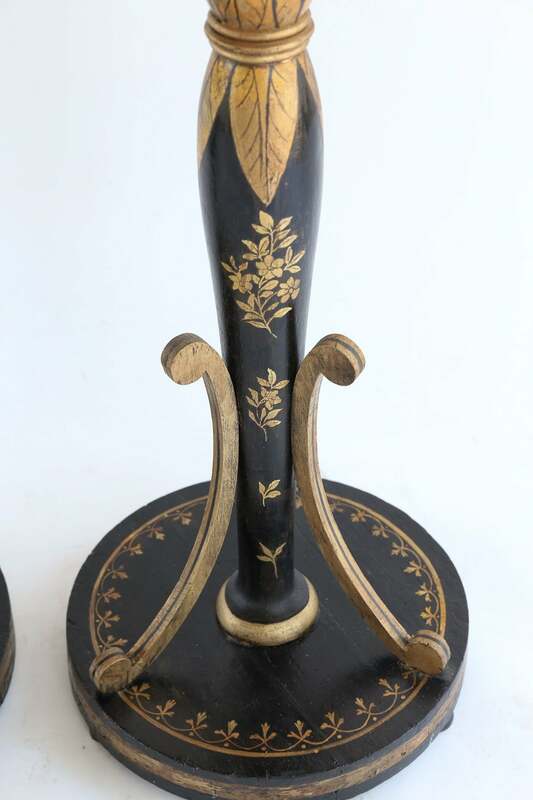 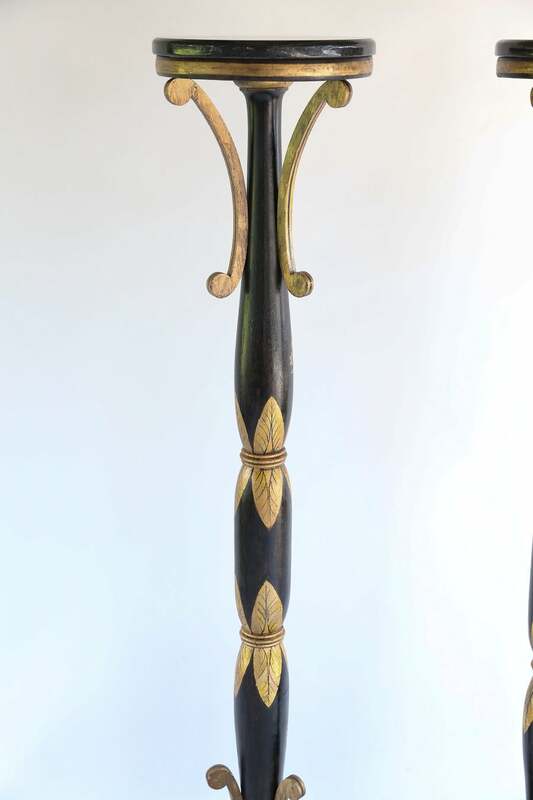 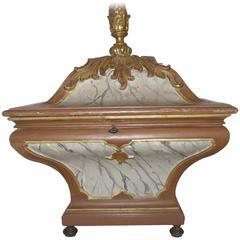 This Handsomely Decorated English Regency Torchère is no longer available. 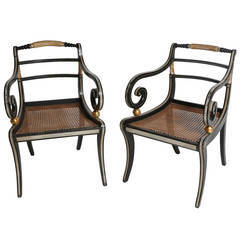 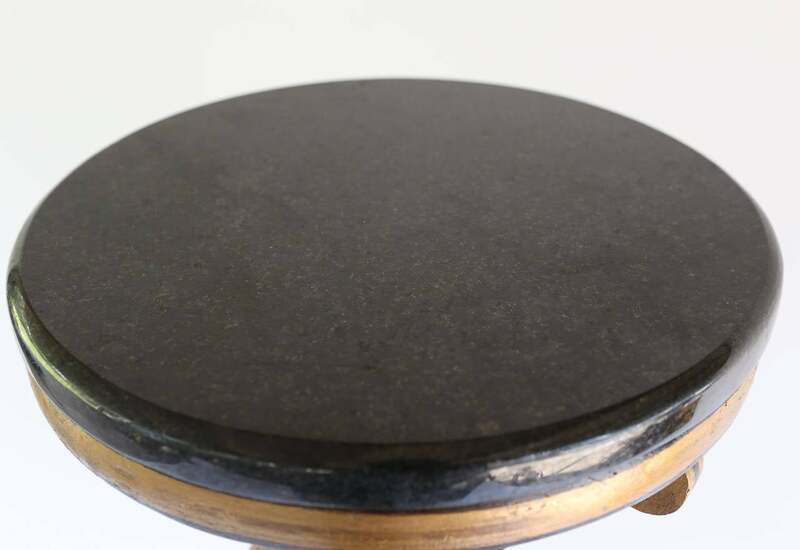 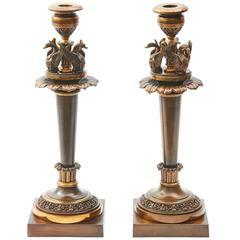 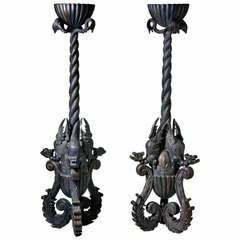 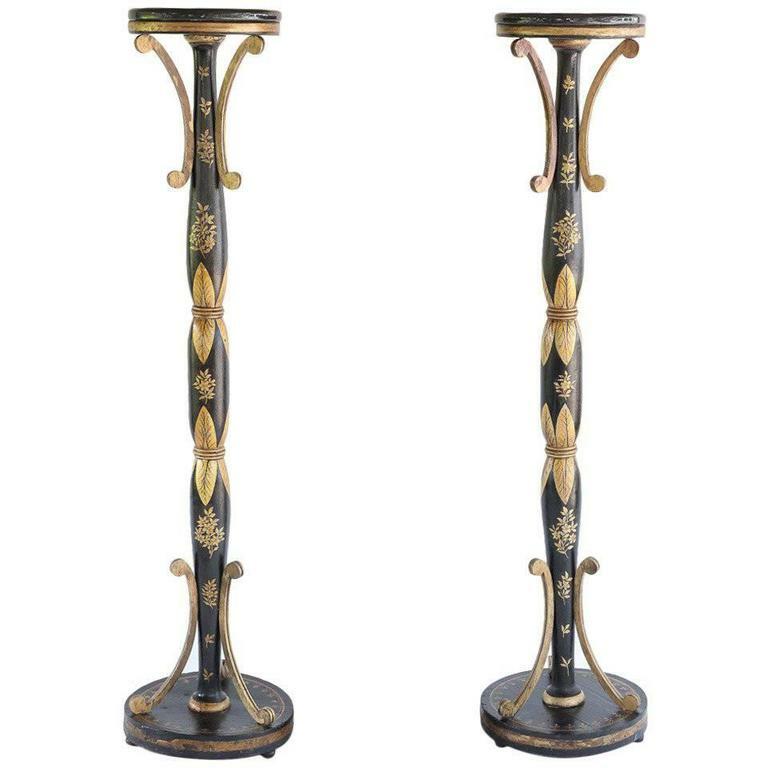 Pair of fine and rare early 19th century English Regency parcel-gilt and ebonized torchère. 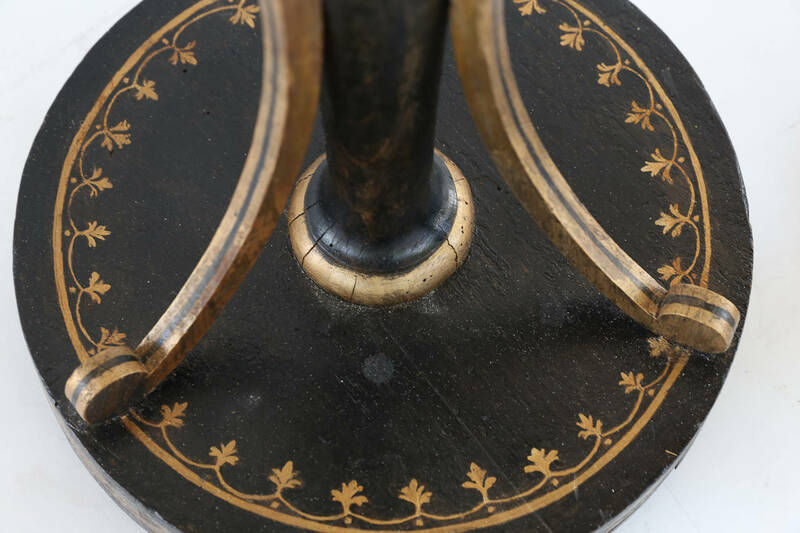 could use a shim to stand straight. 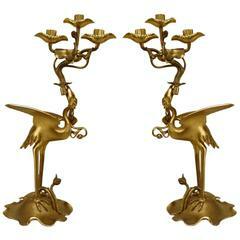 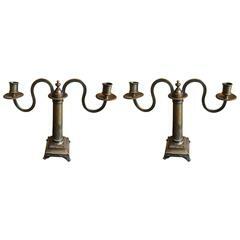 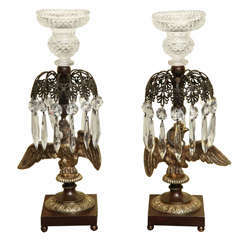 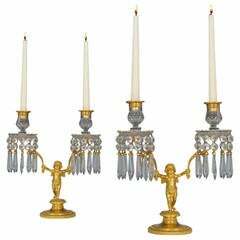 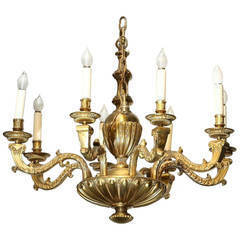 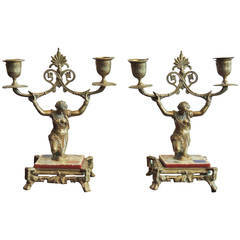 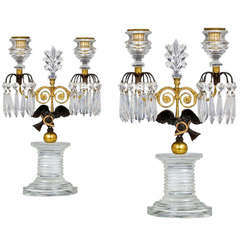 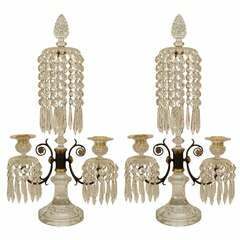 One pair of elegant English Regency two-arm candelabra. 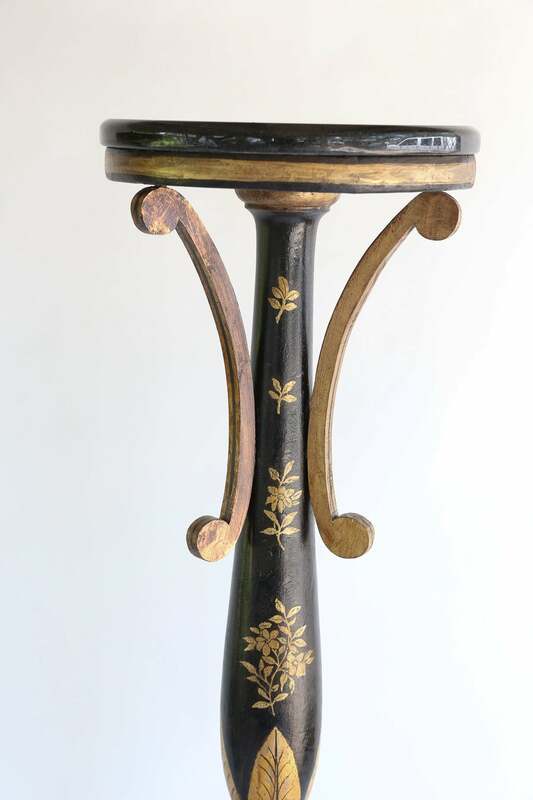 Lovely details and patination.